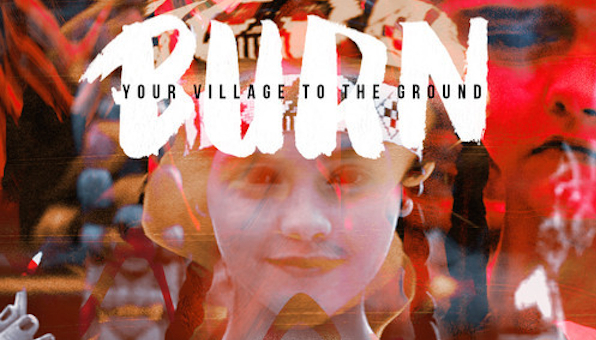 DOWNLOAD: A Tribe Called Red - "Burn Your Village to the Ground"
No celebration of Thankstaking would be complete without A Tribe Called Red reminding us what's really at stake and what's really going on. Just listen to the samples of the 'Thanksgiving address' as told by Wednesday Addams. Listen to the menacing synths. The stomp of the drums. The refusal of Indigenous Peoples to disappear, to die. On this fourth Thursday of November, you might ask yourself: do Indians celebrate Thanksgiving? Well… Thanksgiving is a complicated holiday for Native people. In a way, each day is a day of thanksgiving to the Creator for the original people of Turtle Island. This doesn't mean that we don't enjoy turkey, pie and family as much as the next person, but at the same time the Thanksgiving myth largely shared in mainstream culture perpetuates a one sided view of a complicated history surrounding this holiday. Here’s an informed indigenous view on Thanksgiving. "And for all these reasons, I have decided...to burn your village to the ground." America, we comin for ya.